Will This Real-Life Discovery Impact Uncharted? Uncharted stars John Nathan Drake, a descendent of famed explorer Sir Francis Drake. Would You Be Excited About a Dude in Jeans with a Boring Name? 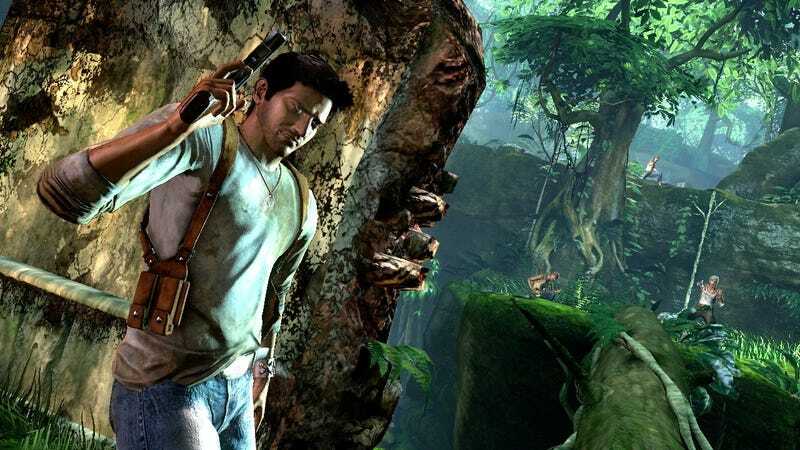 In the first game, Drake searches for Sir Francis Drake's remains and the lost city of El Dorado. Sir Francis Drake once again plays a key role in the latest Uncharted game, Uncharted 3: Drake's Deception. The games, like many good yarns, mix fact and fantasy. Meanwhile, in the real world, The Daily Telegraph recently reported that an expedition is underway that might have discovered the location of Drake's long lost fleet. The expedition is being funded and led by Pat Croce, the former owner of the Philadelphia 76ers and a "pirate aficionado", and it discovered what is believed to be two of Drake's ships—the 195-ton Elizabeth and 50-ton Delight—off the coast of Panama. "We are 98 percent sure of their veracity," Croce told The Daily Telegraph. "The charred wood, the lead on board, the English pottery from that period. And we're confident no crew in its right mind would have deliberately sailed there." Sir Francis Drake became ill while off the coast of Portobelo. He was buried in a lead coffin in full body armor so the Spanish could not reclaim his body. Scanning the seafloor, the expedition is currently looking for his coffin. The ships remain in the water, because they were found in Panama and, thus, belong to the country. If these ships turn out to actually be Drake's and if the treasure hunters discover Drake's coffin, will these real world events factor into the fictional Uncharted universe? Just hope that nobody discovers mutated Nazis. Or that effing ice monster from the second game. Be sure to read Kotaku review of Uncharted 3.